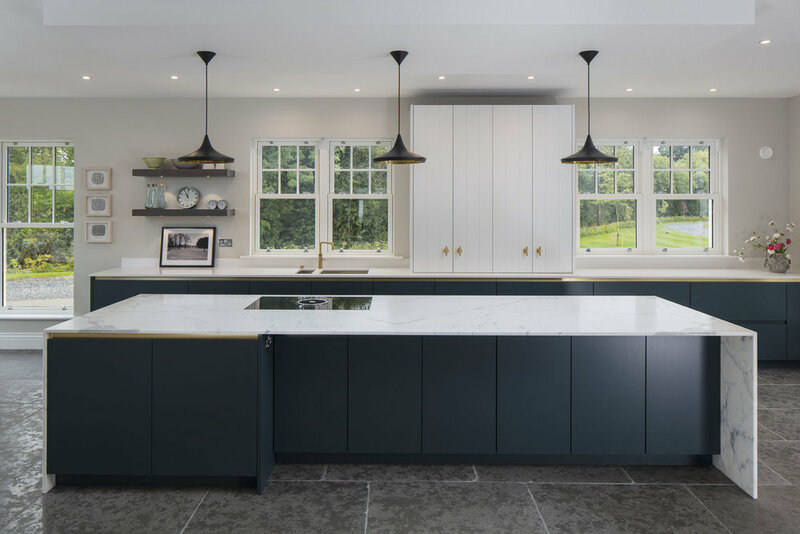 Ruth is an Interior Architect who previously worked in London, but with young kids, she decided to make the move back home to Ireland. She says her home is a ‘work in progress’ but it really doesn’t look it. For all that, her Instagram is irresistible, especially if your aspirational look is white interiors with touches of grey, navy blue and muted shades from nature. The Calacatta Marble island in the kitchen is a real show piece.